We have all been told to R.I.C.E (rest, ice, compression, elevation) an injury before but it seems that times are finally changing. A conversation I have had many times with my patients is the advantages/disadvantages of resting and icing an injury but this article is written much better than I can describe it. Written by Dr. Mirkin; the same doctor that coined the term RICE in 1978; who has since changed his stance on rest and ice as the “gold standard” for treatment. There is lots of good meat to the article, especially if you follow the links to the studies provided. But later in his article, under his recommendations, is the part that I feel are the most pertinent to anyone reading this. “If you are injured, stop exercising immediately. If the pain is severe, if you are unable to move or if you are confused or lose even momentary consciousness, you should be checked to see if you require emergency medical attention. Open wounds should be cleaned and checked. If possible, elevate the injured part to use gravity to help minimize swelling. A person experienced in treating sports injuries should determine that no bones are broken and that movement will not increase damage. If the injury is limited to muscles or other soft tissue, a doctor, trainer or coach may apply a compression bandage. 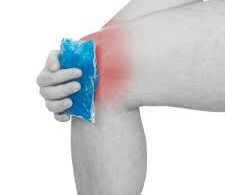 Since applying ice to an injury has been shown to reduce pain, it is acceptable to cool an injured part for short periods soon after the injury occurs. You could apply the ice for up to 10 minutes, remove it for 20 minutes, and repeat the 10 minute application once or twice. 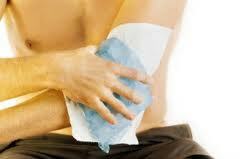 There is no reason to apply ice more than six hours after you have injured yourself. If you are injured, come in to talk to us about your best options for rehab. waiting 6-8 weeks hoping it will get better may be doing more harm than good. At Utah Sports Chiropractic we are trained to evaluate, treat, and rehab injuries. Give us a call for a free consultation. (801) 893-1010 .